Joan Hacker Carroll of Nicholasville, died peacefully on April 12 in Lexington surrounded by her family and friends. Joan and her twin sister, Jane, were born on March 3, 1955 in Richmond to Don and Valora Allen Hacker. Joan spent her childhood in Richmond and graduated from Madison Central High School in 1973 where she was a member of the Marching Indian Band. She earned two degrees in business administration from Eastern Kentucky University and worked several years as a Certified Public Accountant. Joan’s life was devoted to her husband, Bill, and their son, Martin. She loved to travel, garden, and cook. She enriched the lives of others by helping and volunteering for many causes. While her life was defined by her faith and family, her participation in medical trials at MD Anderson Cancer Center in Houston, Texas was for the purpose of giving hope to others that face similar health circumstances. Joan was preceded in death by her mother, Valora Hacker. In addition to her husband of thirty-five years, Bill Carroll, she is also survived by her son, Martin; her father, Don Hacker of Richmond; two sisters: Jeanette Chaney (Mike) of Richmond and Jane Green (Steve) of Hueysville, Kentucky; nieces and nephews; Jeff Wells, Angela Dickerson, Jimmy Don Chaney, Jessica Masters, and Tyler Green, as well as cousins, extended family members and numerous friends. Pallbearers will be her nephews: J.D. Chaney, Tyler Green, Jeff Wells, and Kelly Dickerson; her cousin, Paul Taylor; and friend, Gary Ceagran. 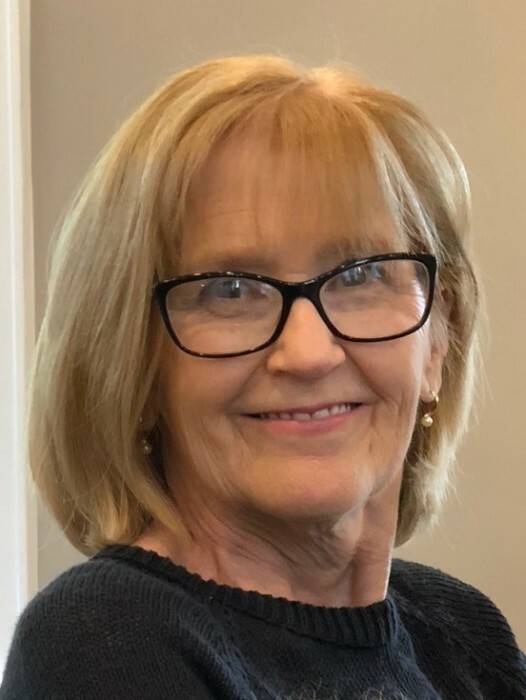 Honorary pallbearers will be the members of her “YaYa Sisters” group Nancy O’Neil, Judy Ferguson, Dana Maloney, Carolyn Cunningham, Sherry Simmons and Toni Pederson and her special friends, Helen Foster, Hazel Whitaker, Terri Boggs, Marissa Phelps, and Dorothy Clark Van Meter. Visitation will be on Tuesday starting at 4 and ending at 8 PM at Hager and Cundiff Funeral Home in Nicholasville. Service will be on Wednesday at 11:00 AM at the funeral home with burial to follow at Lexington Cemetery. For those that wish to honor Joan’s memory in lieu of sending flowers, donations may be made in her name to Lazarex Cancer Foundation, which assists patients with costs associated for participation in FDA clinical trials, at lazarex.org/donate or to MD Anderson Cancer Center designated for cancer research at gifts.mdanderson.org. Hager & Cundiff Funeral Home is honored to be chosen to care for Joan and her family. This obituary was lovingly submitted by the family.